To get a shot on one Lynx is pure luck, but a whole family is awesome, plus they even stayed to play in the garden too makes it even better. This story that happened to Tim Newton from Alaska. This is so epic! They kinda look weird but also cute. 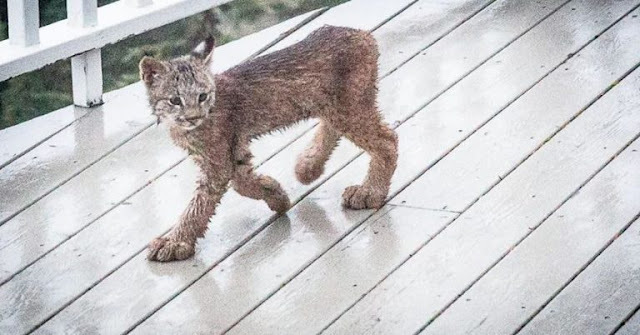 Tim was awakened by noises on his deck last week – and looked outside. In astonishment, he grabbed his camera and can you believe it? 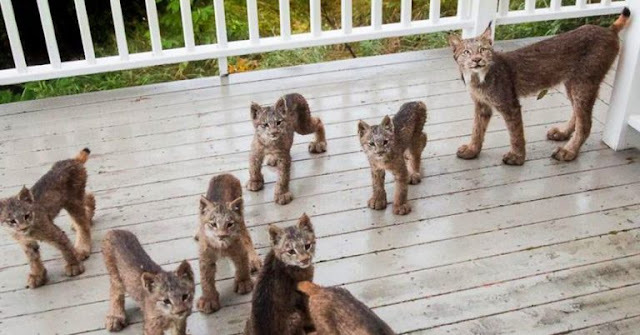 Mama Lynx and her seven kits! She called to them and they all lined up right outside in front of where he was standing (he was inside the screen door!) Amazing ALASKA WILD LIFE! 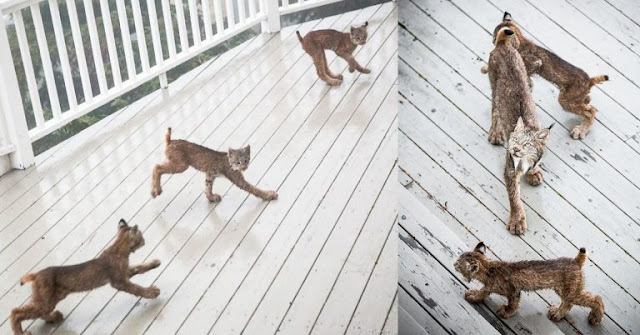 They proceeded to run and play on their deck, and then in their yard! 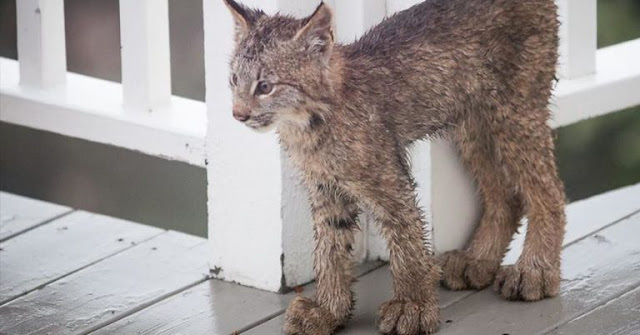 He has concluded that lynx must spend 1 percent of their waking lives chasing rabbits, and 99 percent chasing their kids. It was pretty much non-stop frolicking and rough-housing. Lynx are shy by nature, so, I was completely taken in with these photos! I wish I had been the one taking them!